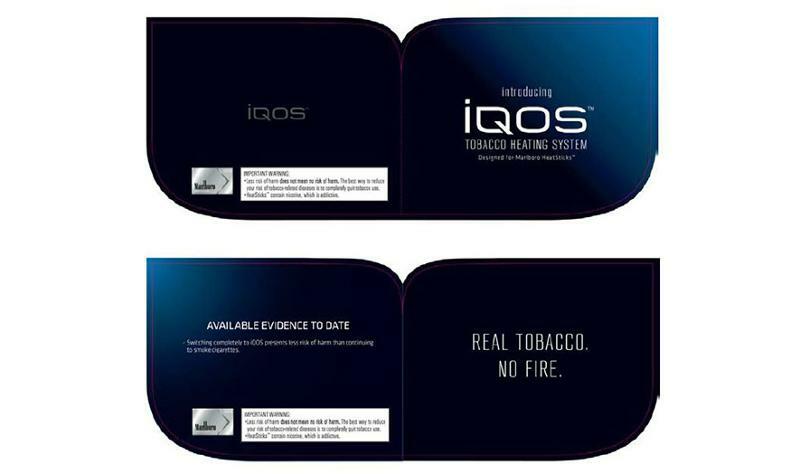 NEW YORK -- With Philip Morris International (PMI) seeking federal approval of its heat-not-burn tobacco product called iQOS, the U.S. Food and Drug Administration recently published several of PMI’s filed documents, which show draft versions of brochure and direct-mail materials. 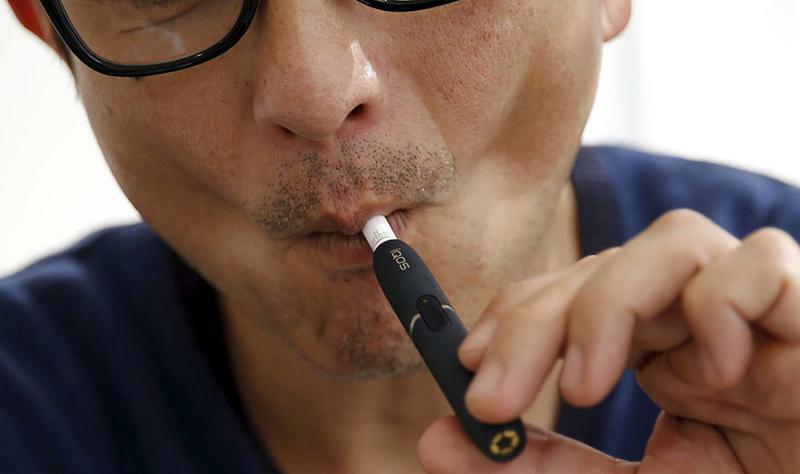 New York-based PMI will brand the device iQOS, refer to the tobacco sticks used in the device as HeatSticks and sell the product under the Marlboro brand name. Users get the smoking sensation by heating the tobacco rather than burning it, the documents say. The drafts of promotional materials refers to harm reduction as a key proposition of the new product. However, being able to claim a product is less harmful than traditional, combustible cigarettes is a part of the approval process PMI is going through with the FDA. 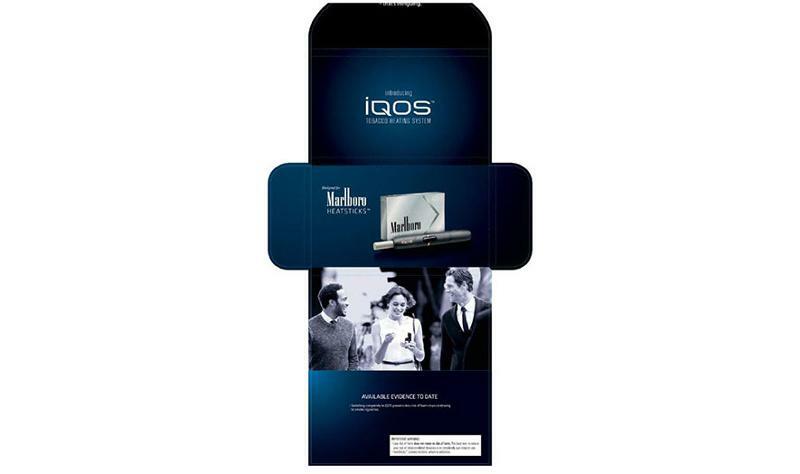 In this draft of an iQOS brochure, the copy states outright that iQOS is less harmful than smoking regular cigarettes, while a proposed warning label further clarifies the statement. The direct-mail piece is a folded brochure that ties iQOS to the Marlboro brand. 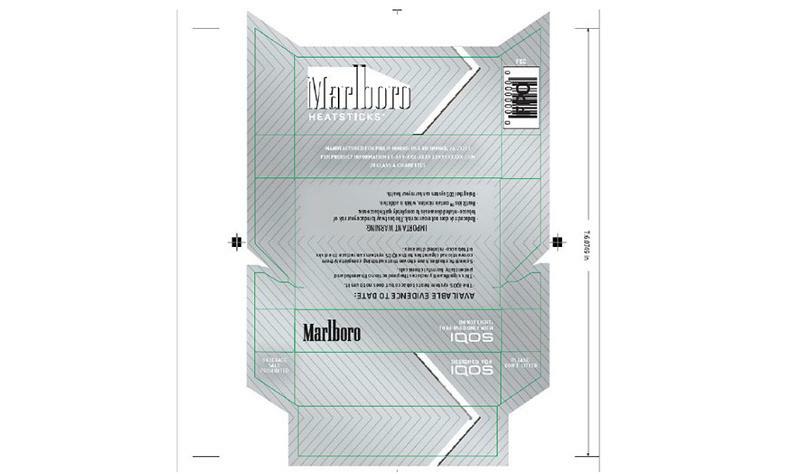 This is a draft of the packaging for a pack of HeatSticks.